ALIF (anterior lumbar interbody fusion) is a spine fusion technique that is used to treat back or leg pain associated with a disc or spine condition. With this procedure, the anterior spine is accessed through an incision made in the front of the body, instead of through the back. ALIF is often used to treat degenerative discs, spinal deformities, and spine instability. 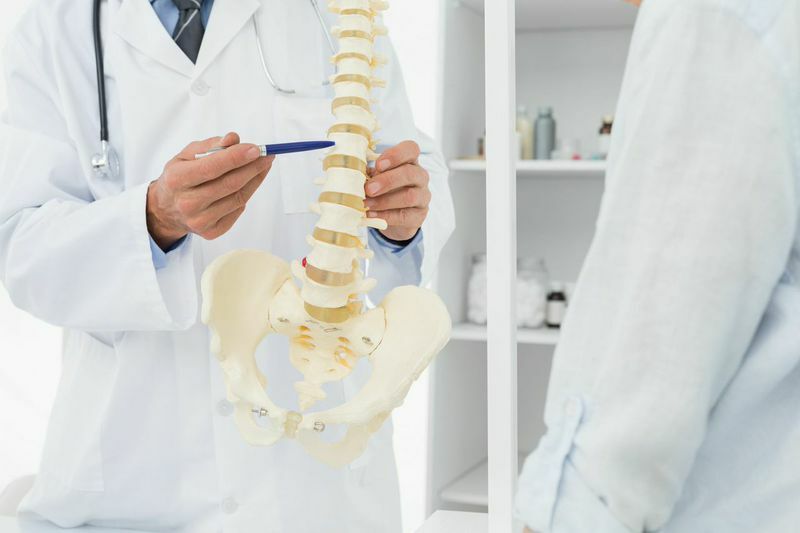 With modern techniques and an advanced approach, the expert back surgeons at ProMedSPINE are very experienced with the ALIF procedure and are able to provide the highest quality medical treatment for all types of spinal conditions in Los Angeles. What is Anterior Lumbar Interbody Fusion Back Surgery? Anterior lumbar interbody fusion is a procedure that involves the fusion of vertebrae in order to alleviate the symptoms of various spinal conditions. The operation is performed through the abdomen as opposed to many other traditional spine procedures that are performed through the back. The contents of the abdomen are basically moved to the side, allowing the surgeon to work around the organs and blood vessels without any cutting. This technique also avoids having to move and disturb the spinal nerves and neurologic structures when accessing the spine through the back. First, the affected lumbar disc is removed from the front of the lower spine and a bone graft is placed in between them in the interbody space. The bone graft is inserted in order to make the vertebrae grow together into one solid bone. The advanced approach performed at ProMedSPINE utilizes a titanium cage that is embedded into the disc space around the bone graft. These cages are porous and allow the bone graft to grow through and around the cage, providing increased support and stability. In some cases, the cage is sufficient and additional screws and rods do not have to be implanted for additional support. ALIF is a commonly performed operation on the spinal column and may be used in conjunction with other spinal treatments. Depending on the condition, ALIF may be sufficient on its own for fixing the spinal problem. In some cases, such as those that include a great deal of instability, ALIF is often performed along with a posterior spine approach and with the use of additional instrumentation as well. To learn more about this spinal treatment, please visit NuVasive. Who is a Candidate for ALIF? In most instances, non-surgical treatment methods are first used to correct the problem and eliminate pain. At ProMedSPINE, our surgeons will try to find the most effective treatment possible in every individual case, while always considering surgery a last resort. Less Disturbance to Surrounding Tissue and Structures – The spine is accessed from the front with the ALIF procedure. The contents of the abdomen are moved aside, providing a wide exposure and easier access to the discs. Back muscles, nerves, and neurologic structures are left undisturbed, leading to a decreased risk of neurologic injury. High Fusion Success Rate – Because the bone graft is placed in the front of the spine, the graft is placed in compression. Bone has been shown to heal and fuse better when in compression. Increased Stability – Accessing the spine from the front allows for a much larger implant to be used. These larger implants tend to provide improved stability of the fusion area. No Brace Required – The ALIF approach may not necessitate the need for a brace or other exterior spine supports. This highly successful approach can be a great means of spinal treatment on its own or when paired with other back procedures. There are many advantages to receiving ALIF at ProMedSPINE including a very high success rate thanks to recent medical advancements and the surgical expertise of Dr. Gravori and his team. You should never have to suffer through pain. If you have been experiencing chronic back or leg pain, it is important to seek expert medical guidance as soon as possible. Many of these painful conditions are very treatable. Our surgeons are known for treating a wide range of back and spine conditions, providing top notch, world-renowned care in Los Angeles. Please schedule a consultation with our Los Angeles spine surgeons today! Next, learn about percutaneous foraminotomy.